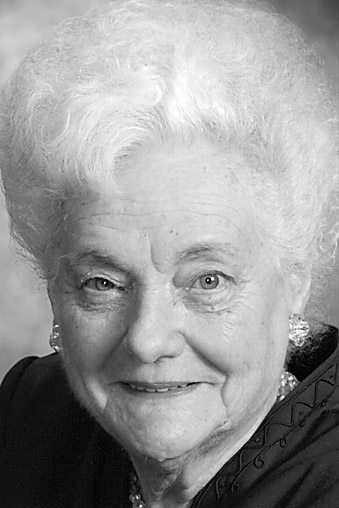 Marjorie M. “Sis” Andrews, 87, Altoona, passed away peacefully Saturday evening at The Grand Residence at Upper St. Clair after a brief illness. She was born in Altoona, daughter of the late Bernard and Marjorie (Hannon) Donnelly. She was preceded in death by her husband, James F. Andrews Sr. on May 16, 1991; and a sister, Eugenie Harlow. Sis was a faithful member of our Lady of Lourdes Catholic Church, Altoona, where she was a member of the Christian Mothers and a longtime fish fry volunteer. She also was an active Christmas boutique contributor. She was a former member of the Columbian Circle, and she was also a fun-loving member of the Red Hat Society and numerous other clubs. She enjoyed playing bingo and the lottery. Sis loved the comfort of her daughter’s cats, Blarney and Mister. She looked forward to her yearly vacations to Treasure Lake, where she honed her pinochle skills. She will be remembered for getting her driver’s license at age 61. She will be sadly missed by her family and her many friends. Friends will be received from 3 to 7 p.m. on Friday, March 23, 2018, at E. Merrill Smith Funeral Home Inc., 2309 Broad Ave., Altoona. A funeral Mass will be celebrated at 10 a.m. on Saturday, March 24, 2018, at Our Lady of Lourdes Catholic Church, Altoona. Committal will be at Calvary Cemetery. The family would like to express their appreciation to The Grand Residence at Upper St. Clair and Seven Oaks Hospice for their wonderful care. In lieu of flowers, the family suggests donations in memory of Marjorie be made to Bishop Guilfoyle Catholic High School, 2400 Pleasant Valley Blvd., Altoona, PA 16602 or Our Lady of Lourdes Catholic Church Elevator Fund, 2716 Broad Ave., Altoona, PA 16601.